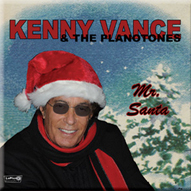 "Profiles" Half hour television interview with Kenny Vance containing pictures and music filmed a few years ago and Glen Fisher interview. They can be accessed by clicking on the images below. — Lost and Found: Archives – Vol. 1 & 2 New! — Lost and Found: Archives – Vol. 2 New!